Australia's visionary NE OBLIVISCARIS return with their stunning new album Urn. The album sees the forward-thinking band hone their unique and expansive style that blends the best of both the extreme and the progressive sides of metal. Epic tracks like "Intra Venus" and "Libera (Part's 1 and 2)" exude power, grace, and the confidence of a band at their best. NE OBLIVISCARIS are one of modern metal's most dynamic bands, and Urn is yet another masterpiece. Urn will be released October 27th and is now available for pre-order across various CD and LP formats at the Season of Mist E-Shop. 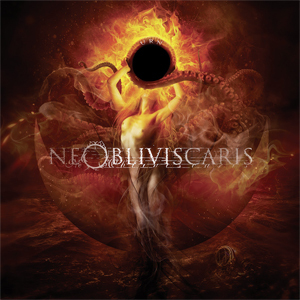 NE OBLIVISCARIS have premiered "Intra Venus", the first new track off their forthcoming album. The video for "Intra Venus" is online now and you can watch it now on KNAC.COM right HERE. Regarding the new album, NE OBLIVISCARIS frontman Tim Charles: "After almost three years of honing our craft in every way that we possibly could, we finally present to you the first track from an album of which we could not be more proud of. Urn feels like the culmination of all our years of hard work; the delivery of everything that we have wanted to create. Music and art as our imaginations see it fit to be. "Intra Venus" is more concise than much of our work and is in fact the only song on Urn under ten minutes, but one that we feel is a great introduction to the record. We hope that you will enjoy it."